I remember feeling so alone and lonely when I moved to another city where I had no friends. I would be eating in a restaurant, alone, and watch girlfriends at another table, talking, laughing, enjoying the familiarity. I would look longingly at them, remembering when I had that, when I’d always had friends, many of them. I was self-employed and working from home, making it a challenge to meet people. I eventually joined an organization that met every week, which lead to the close, long time friends I now have today. I’ll never take that for granted again. I only wish that GirlfriendCircles.com had been available when I most needed them. It’s an online community where you can find local women also seeking new friends either due to a move, an empty nester, new grads making friends outside of school, or someone who’s newly retired. 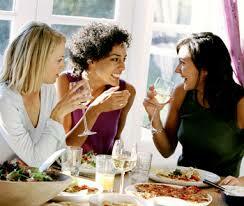 GirlfriendCircles.com can provide online tools to help you create meaningful friendships with the qualities you hope to have in common. Shasta Nelson is the brainchild behind GirlfriendCircles.com and has been interviewed on numerous TV shows and in newspapers. Tommorrow, Tuesday, March 12, 2013, 3:00 pm on ABC. she’ll be a guest of Katie Couric’s show. Shasta shares some behind-the-scenes about her interview with Katie.